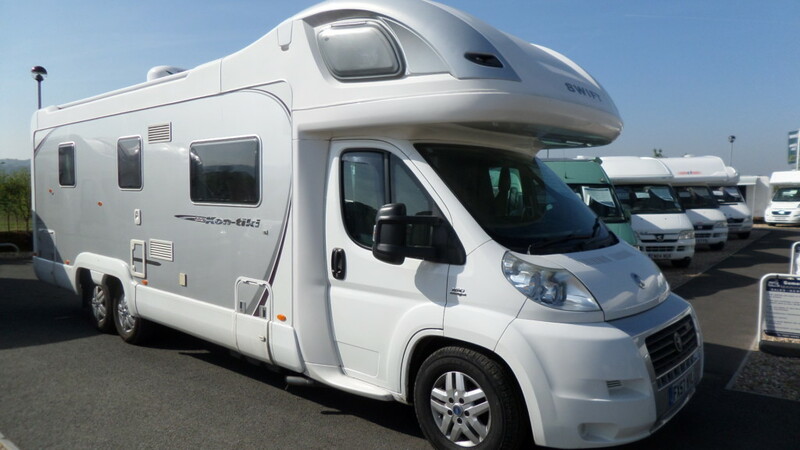 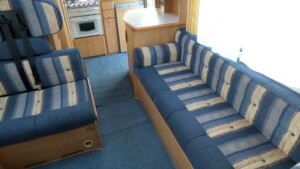 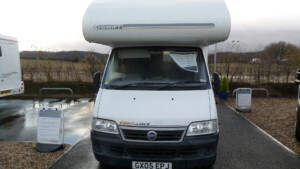 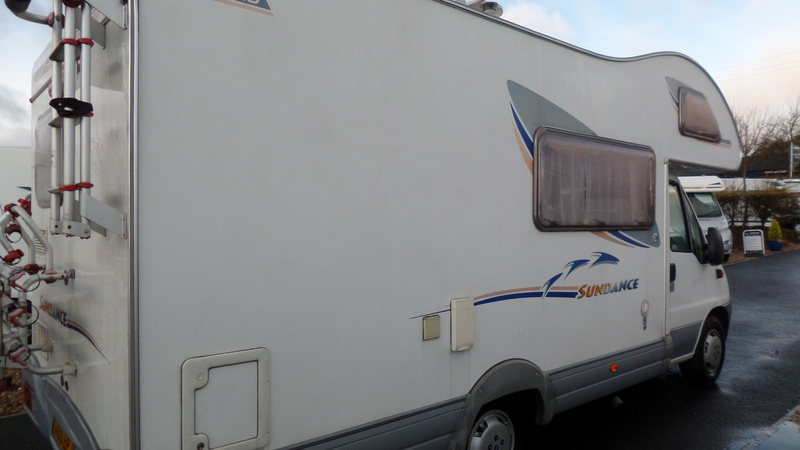 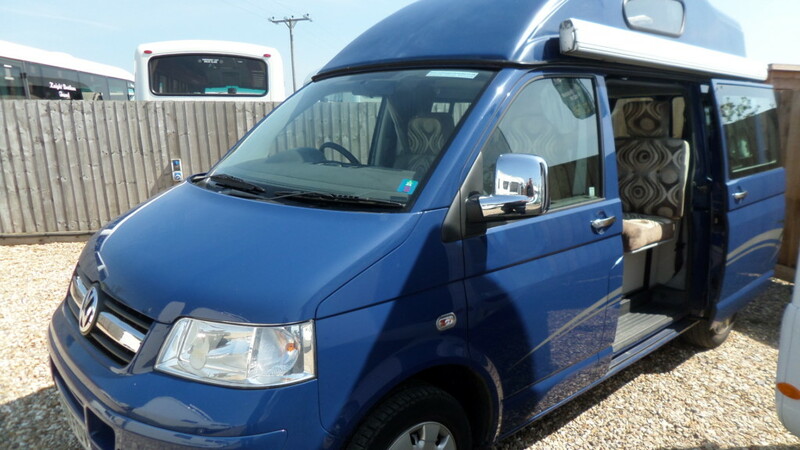 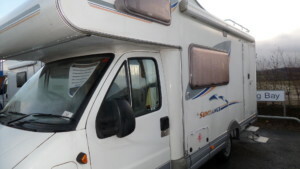 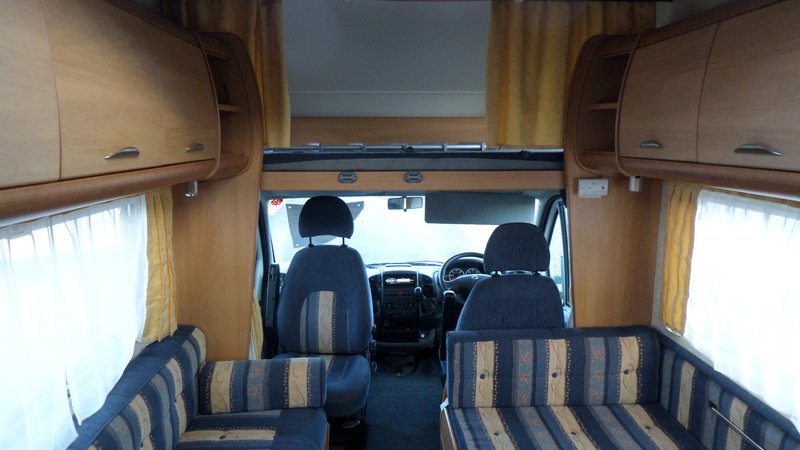 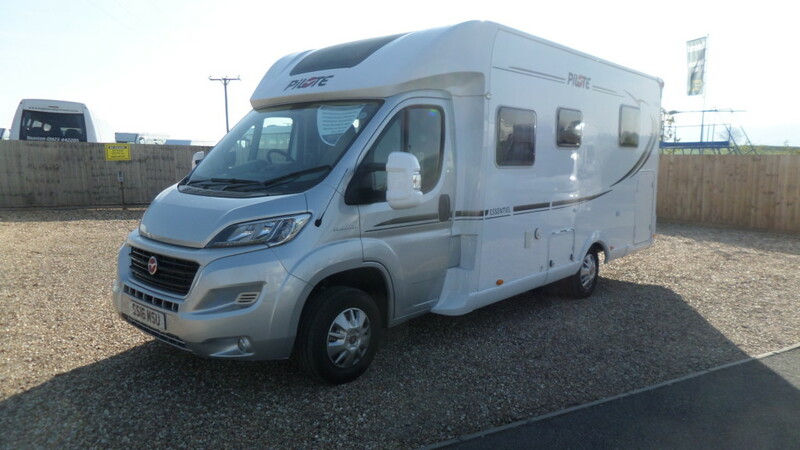 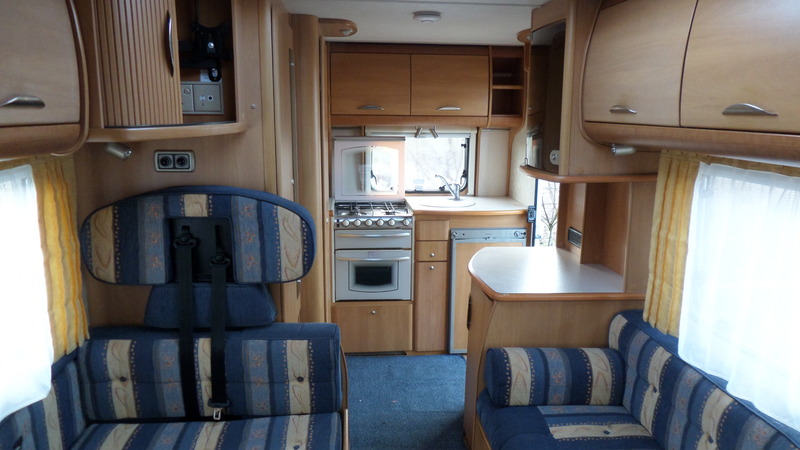 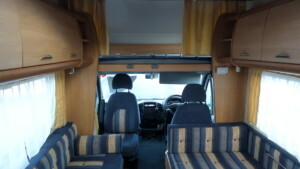 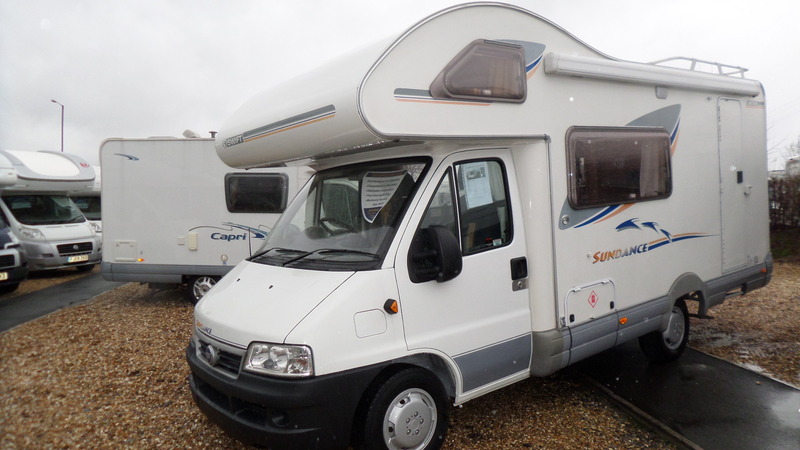 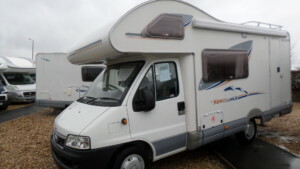 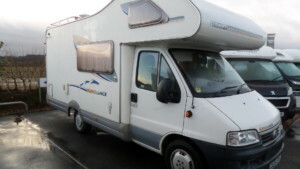 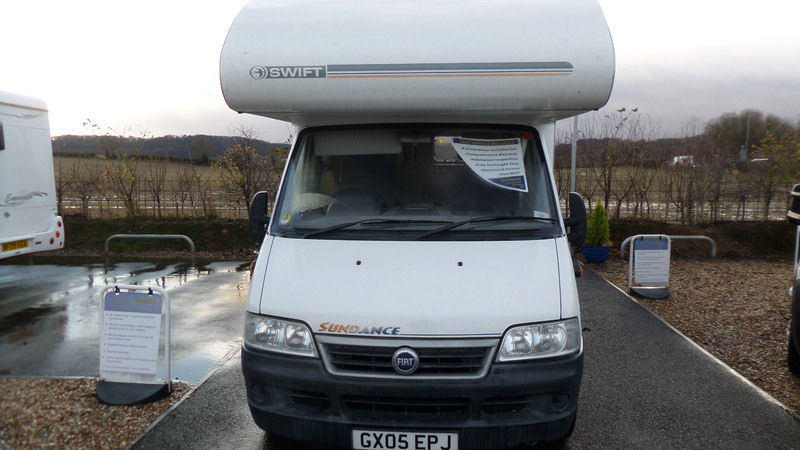 The Sundance 590 RS offers 4 traveling seats and 4/5 berth motorhome. 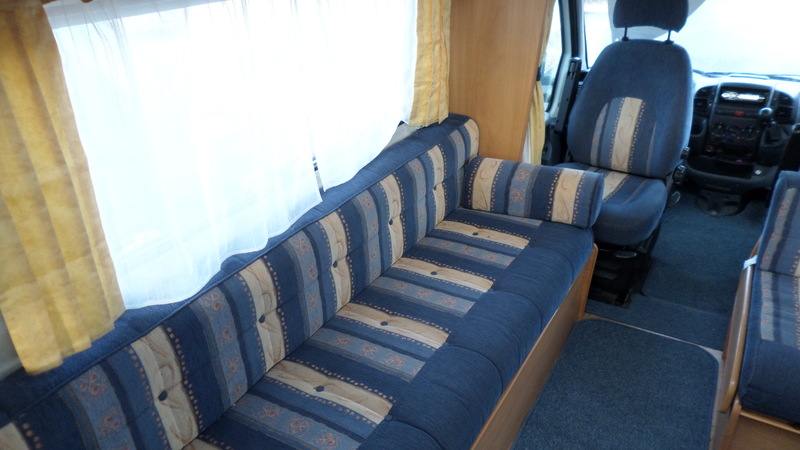 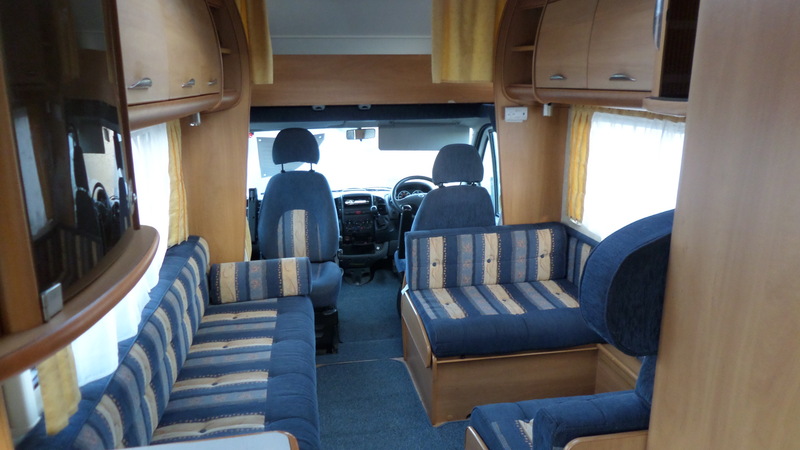 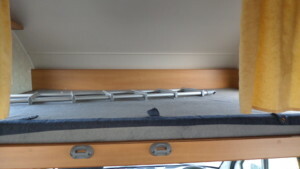 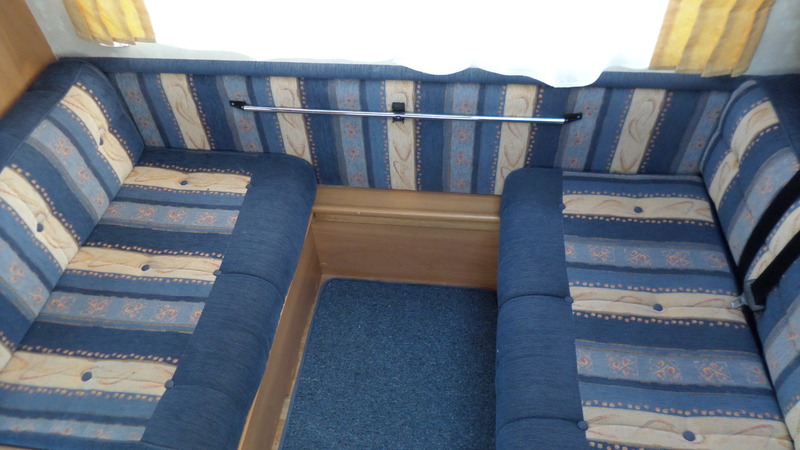 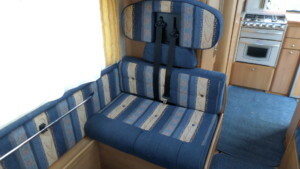 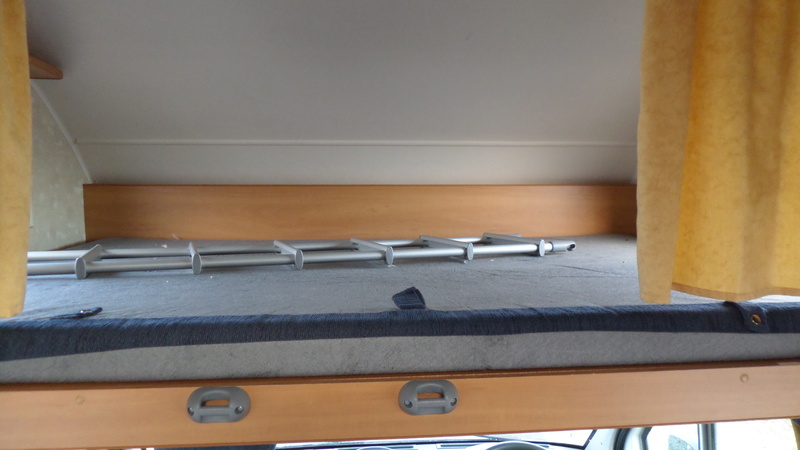 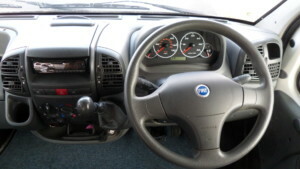 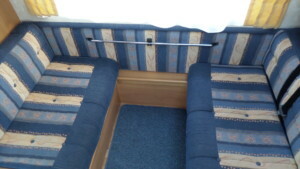 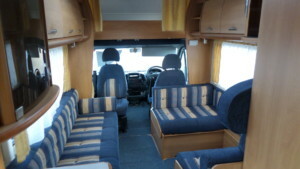 There is a front lounge/dinette with 1 long side facing bench and 2 other bench seats, 1 forward facing and 1 rear facing that make up a double bed and there is a double bed over the cab. 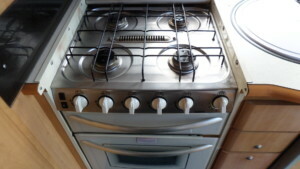 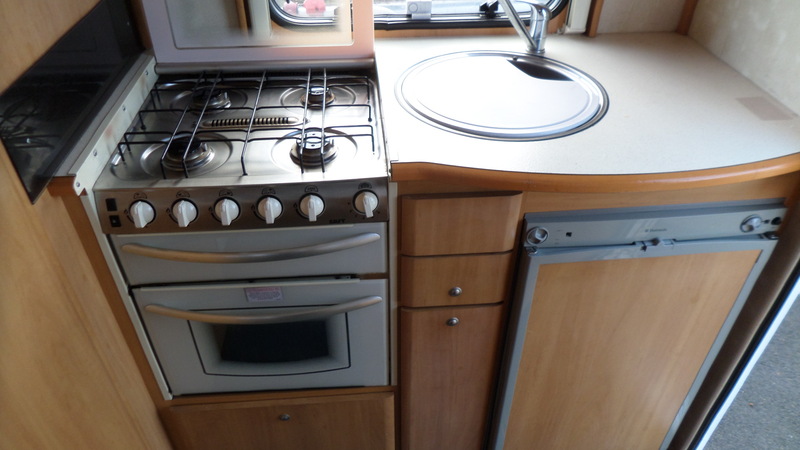 At the rear is a kitchen with a cooker that has got 4 gas burner hobs, the kitchen also has a fridge and sink. 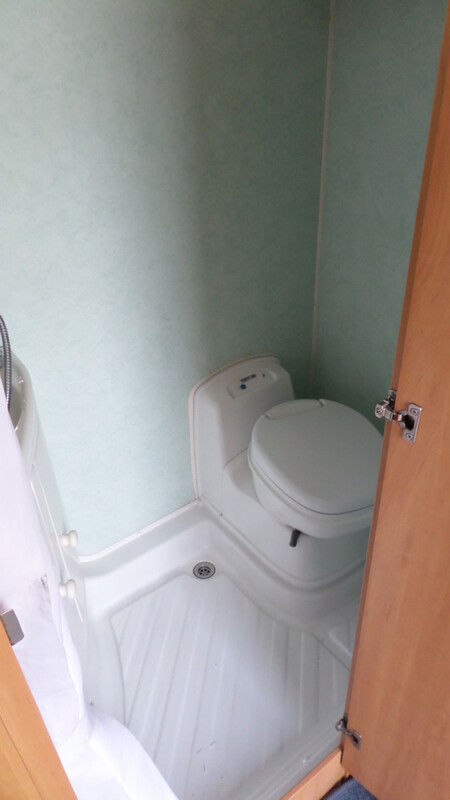 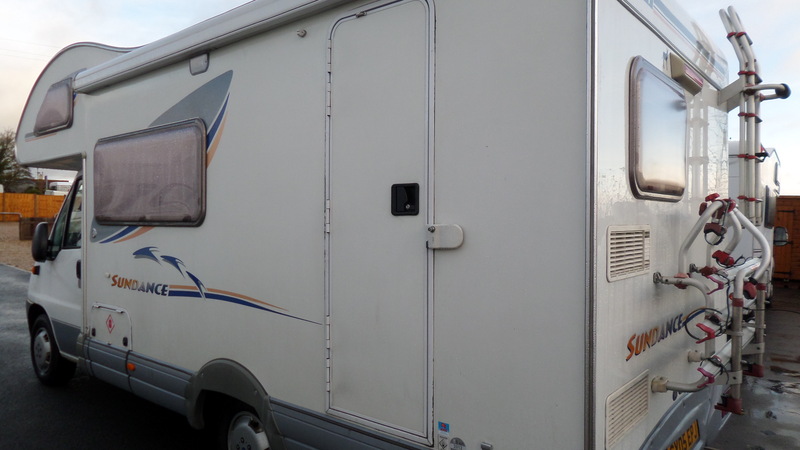 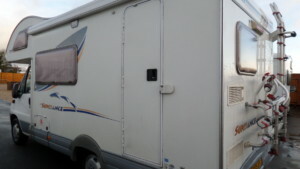 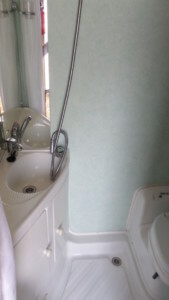 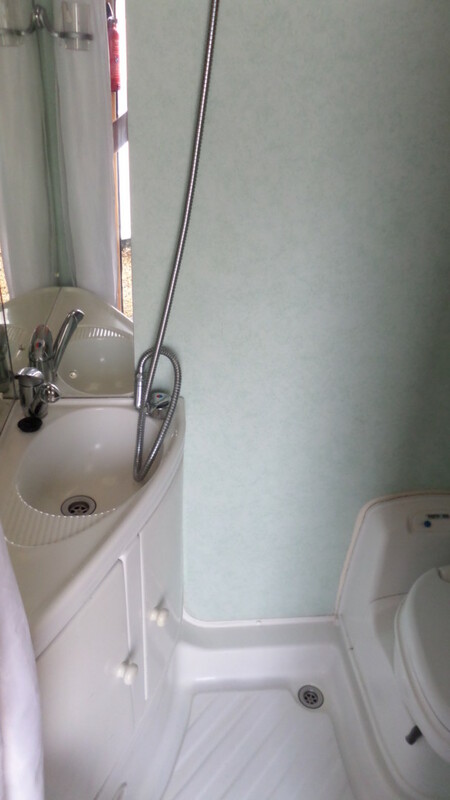 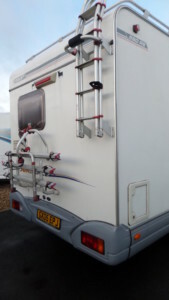 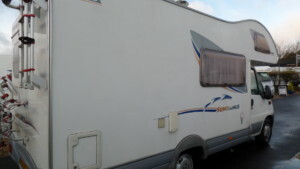 The bathroom is located at the rear side of the motorhome and has a sink, toilet and an integral shower.